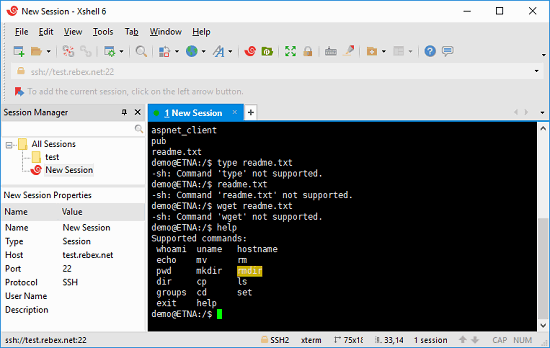 Xshell is a free terminal emulator for Windows with SSH, SFTP, RLogin, Telnet and some other protocols. It is free for school and home use only. It is a very power software that you can use on your PC for doing some tasks on local and remote server. Here it offers a powerful terminal to run commands that you run in CMD and with admin rights. It offers you a tabbed interface where you can open multiple terminal session. While opening a session, it lest you choose a desired directory. And you can open SSH and Telnet session in parallel. It encrypts the data that you send over internet through this. In addition to that, it offers a dedicated lock screen so you can lock the interface of software while you are leaving for a while. There are some terminal emulator software that you can use but they don’t focus on the feature like SSH, SFTP, etc. They focus more on interface and other customization stuff. But Xshell here gives you an awesome set features which are really useful if you are in programming or networking related fields. You can use to manage remote servers by simply starting the SSH sessions that you generally do in PuTTy. Using this software to do various tasks is very simple. Like other CMD alternative software, you can use it in the same way. Also, apart from the features to manage remote servers, you will find some other tools in it. For example, it lets you customize the look and feel of the software, Unicode mode, custom key mapping, dynamic port forwarding, user defined buttons, VB scripting and some more. Here are some simple steps to getting started with this software. Step 1: Download this software from here and then install it. After that, simply launch it and its interface will open up. On the main interface, it will show you a pop up where you have to specify what you want to do. If you want to use the command prompt locally, then you can specify a session directory and then start doing what you want. Step 2: You can take advantage of its multi tab interface. 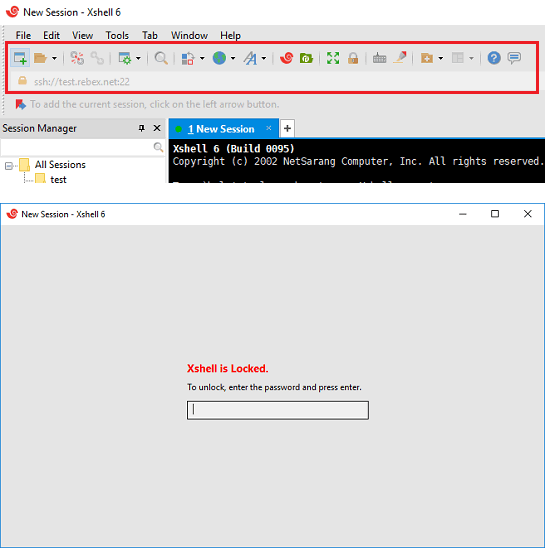 You can use it easily and open another instance of the command prompt in the next tab and again it will ask you to specify a session details. Or, you can also choose to start a new SSH, Telnet session. 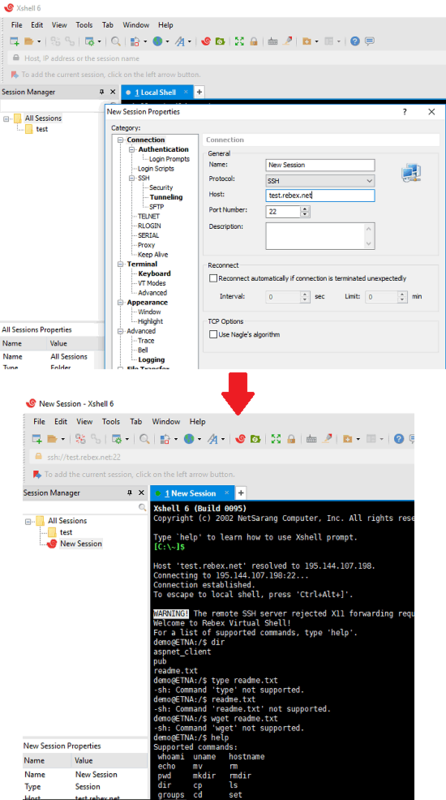 Just click on the session button and then specify the server credentials to open SFTP or SSH session. Step 3: Similarly, you can open other sessions in it by opening them in new tab. You can work on different tasks at the same time and then manage local as well as remote PC easily. You can use other tools of the software to assist you while you are using it. Use the lock screen feature so you can lock the interface of the software to keep it safe from others, change encoding, use find replace tool, highlight sets and others. You can find all these tools in the toolbar of the software. In this way, you can use this powerful terminal emulator to do your daily work. 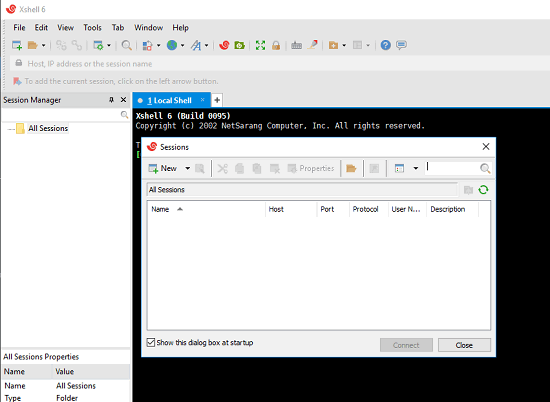 Its ability to open multiple local as well as remote session in parallel is very nice. While using it, you will have your work organized and you will not have to confuse between multiple scattered windows on your screen. Xshell is n doubt is one of the best terminal emulator software that you can use on Windows. And what I really like about this is that all the commands that you run are elevated. You will not have to look for the administrator options to run the system commands. Also, it makes it easy to initiate single or multiple SSH, Telnet sessions. So, if you are looking for a powerful command prompt emulator for Windows then give Xshell a try.